On April 15 someone is going to have a very happy Tax Day. That is when we will learn who will win airfare, accommodations, VIP rodeo tickets, activities, rental car and a side trip to Yellowstone National Park. You can enter the drawing online at www.codyyellowstone.org/win/. The winner and a guest will arrive at the Cody Yellowstone Regional Airport July 2 and spend three nights at the historic Irma Hotel in downtown Cody. During the days they will enjoy Old Trail Town & Museum of the Old West, Wyoming River Trips, Buffalo Bill Center of the West, Cody Firearms Experience, Cody Stampede Parade, City Park Wild West Arts Fest, Heart Mountain WWII Interpretive Center and the 100th Cody Stampede Rodeo Finals. Then it is off to Yellowstone National Park for a night at the famed Lake Yellowstone Hotel before returning to Cody and flying home July 6. Cody Stampede fireworks cap off a great day. The trip is sponsored by the Park County Travel Council, Irma Hotel, Yellowstone National Park Lodges and Hertz. 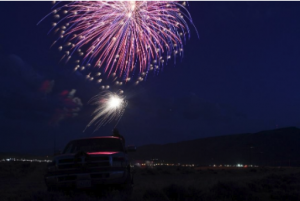 The Cody Stampede has been around since 1919 when a group of local leaders met after Buffalo Bill Cody died to talk about the town’s small annual July 4 celebration and how to showcase Cody’s authentic Western dude ranches and other attractions. Then, as now, proximity to Yellowstone National Park played a huge role in the town’s attractiveness to vacationers from all over the world. Today, the modern Cody Stampede features four Professional Rodeo Cowboys Association (PRCA)-sanctioned Stampede Rodeos, including a Cody Yellowstone Extreme Bulls event. Fun in town includes a Kiddie Parade, two Stampede Parades, daily rodeos, a 5K/10K run/walk on July 4, and the three-day Wild Extravaganza Arts Fest July 2-4. Additionally, a variety of musical performances by regional acts are held in outdoor venues throughout town. 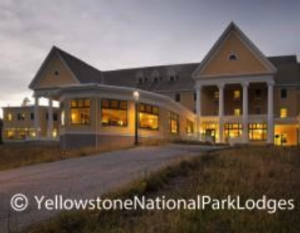 Winners will stay at the Lake Yellowstone Hotel inside the park. The Stampede Parades on July 3 and 4 are especially fun, with at least three marching bands from around the country parading down the town’s main street of Sheridan Avenue. 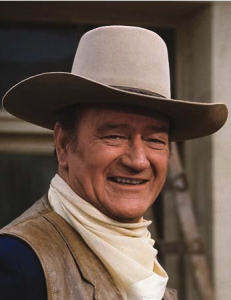 We are still waiting to hear who will be this year’s grand marshal, but big names in the past have included John Wayne, Steven Seagal, Chuck Yeager, and Wilford Brimley. You better hurry up if you want to win this trip. Until next week, I am lovin’ life in Cody Yellowstone.